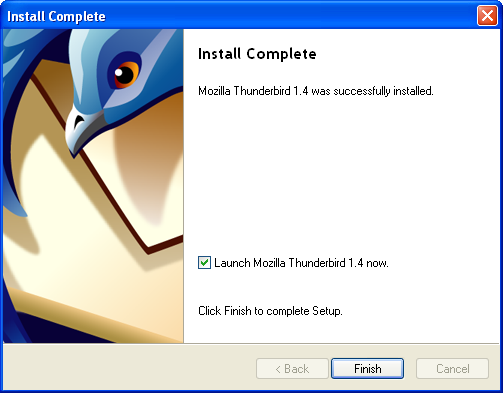 The following steps will walk you through how to install the Thunderbird email client. 1. 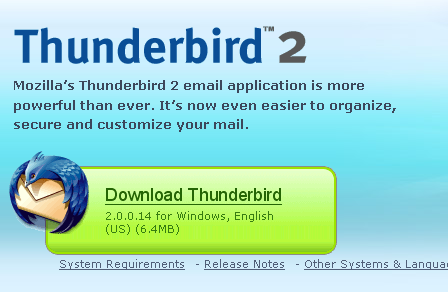 Go to the URL below to download Thunderbird. Run the downloaded setup file, and you should see this screen. 3. 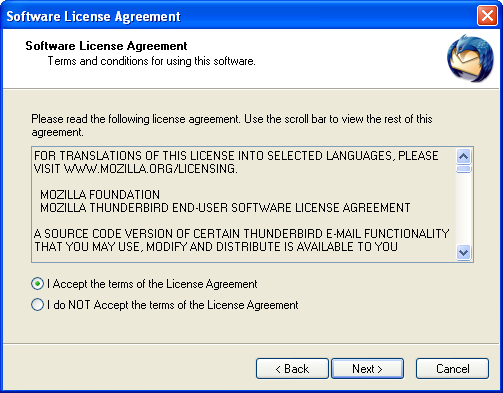 If you agree to their terms, please click Next. 4. 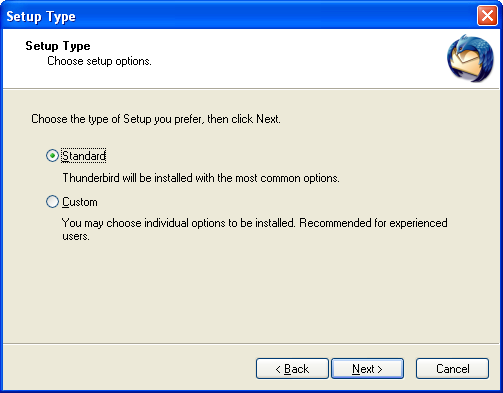 Just use the standard configuration, unless you are familiar with this process and wish to change it. 6. If you haven't changed anything, your screen should look like this. 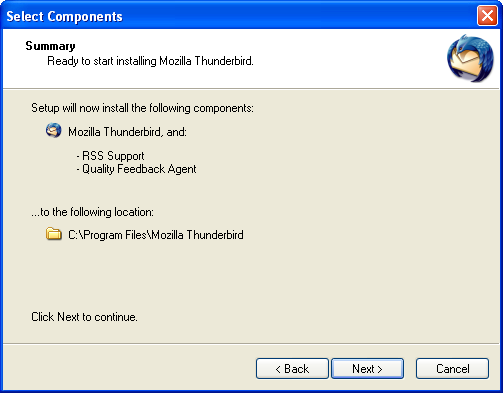 We have a tutorial on how to setup Thunderbird also.